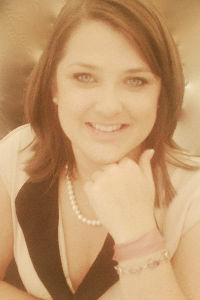 Bull Digital Marketing (Bull) has been formed by Katie Bullon – former Marketing Manager of The BBI Group (Cardiff). Katie gained valuable, international marketing experience over multiple years working for the global super-company, who this year was listed in the top 20 of the fastest growing manufacturers in Wales. Further to studying a Business Management degree at Cardiff Business School, Katie underwent postgraduate retail management training with LIDL UK and has since achieved a Diploma from The Chartered Institute of Marketing in Digital Marketing. Katie took her first Marketing job 10 years ago at The British Royal Mint in Llantrisant, and has since worked all over the world from Tokyo to LA, and of course Wales, marketing a wide variety of products. Now specialising in digital, this is the primary function of Bull Digital Marketing. Originally from the Cardiff area, Katie has formed Bull Digital Marketing to bring her skills back home to work with local businesses offering excellent digital marketing solutions at prices that are realistic to their business. sign up to anything. The reason this is possible is that Bull uses Activ Net Marketing software and strategies, which have proven successful for thousand’s of businesses across the UK for over 6 years. The software enables products to be built on a robust and internationally proven closed-source software package. The platform has been developed over a number of years and is constantly evolving to offer new features and functionality. Bull will focus on working with local businesses in south Wales to provide fixed price solutions accompanied by a trustworthy and jargon-free approach from Katie and her team of digital experts. Bespoke design websites and mobile applications start at just £299, and SEO is available from just £50/month. The newly launched website includes detail of fixed pricing – www.bulldigitalmarketing.co.uk. Bull Digital Marketing offers a range of fixed price digital marketing solutions to SMEs in south Wales. Websites and Apps are available at £299-£499, with ecommerce websites for only £999. Plus we also have available a range of affordable SEO options to get that desired search position on Google, in addition to email marketing and social media management packages. We are proud to use the Activ Net Marketing software and strategies that have proven successful for thousand’s of businesses across the UK for over 6 years. The software allows us to offer all of our products from a robust and internationally proven software package. The platform has been developed over a number of years and is constantly evolving to offer new features and functionality, and would be a great asset to your business. All of the digital marketing solutions offered by Bull are proven to work, they are affordable and are handpicked through a consultation session specifically for your business. Owned and operated by Katie Bullon, Bull Digital Marketing has been born out of the fact that there are so many local businesses out there who don’t have the time, experience nor the never-ending budget to make the best of their online presence. And, we all know the world operates online nowadays! Business owners need help from experienced professionals that they can trust, to covert the money they spend on marketing into Sales for their business.